In recent years there has been a drastic development and improvement in the quality and consistency of home alarm systems. No longer are customers tied to bulky, wired, cumbersome home alarm systems that are difficult to install and quite costly to boot. Instead, there is now a wide range of choices available to those looking to boost their home security systems. Whether you choose to install a hard wired system, or utilise the modern, wireless smart home cloud alarms and other types of home security products, always ensure that you do so by purchasing from respected home security experts. Being able to have that professional expertise and guidance when choosing the right type of home security system could be invaluable to you moving forward. As far as smart home cloud alarm systems there are numerous benefits. They are much more secure than in the past, are easy to use, convenient and useful. With intuitive mobile app control panels, you can look after your home security from any location, looking at live video feeds, turning on sensors and cameras at certain points, and even answering the door from your phone. 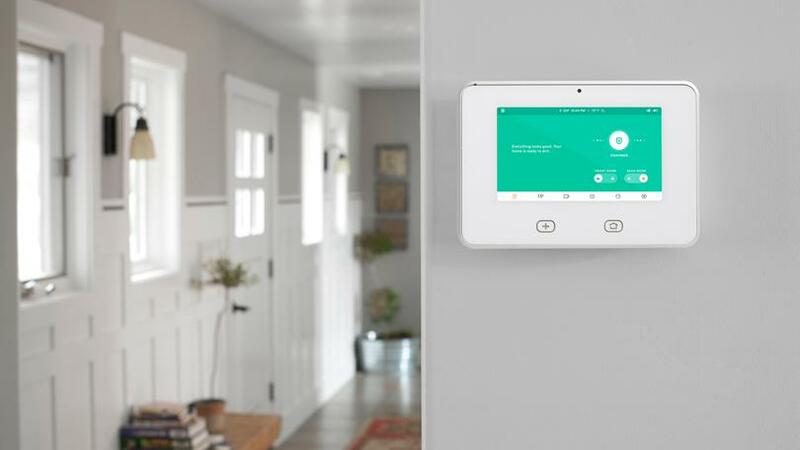 It all depends on the type of smart system you have, but your home alarm systems can be connected to other smart technologies in your home to make your life much easier, and much more secure in the process. One of the major benefits of a smart home alarm system is that it is always on, and doesn’t just come to life during an emergency situation. You don’t have to worry about remembering to arm the home alarms as you leave the home, with smart technology and automation you’ll be covered all of the time. You can access information and live video feed of your home from any location – whether you are upstairs at night and have heard a sound outside or at work or away on holiday. You’ll also receive notifications if an emergency happens and the alarm is triggered. They are so easy to use when compared with traditional home alarm systems. Having the ability to access live HD quality feed from wireless video cameras makes a world of difference to your peace of mind when thinking about how to protect your home. Being able to integrate it seamlessly with your other smart and cloud based technology makes life easier all round. We all like smart technology and how it has drastically improved in recent years. Adding your home security system to the things you can control via your phone would be mind-blowing to us even ten years ago, but now you can set the timer on your home alarm systems, answer the door from your bed, turn on the lights when away on holiday, and even control the heating times and temperatures from your smartphone. It truly is a wonderful and exciting future we are living in. Once you have decided that the time is right to take the plunge and purchase and install a smart home alarm system connected to the cloud, work with experts in the field to ensure that you are working with real quality and have the advice and guidance of professionals to help you choose the right type of alarm system for your home and budget.